Today’s recipe is an awesome twist for jalapeno popper dip – it’s a popper and raspberry dipping sauce all-in-one – Sweet & Savory Jalapeno Popper Dip! 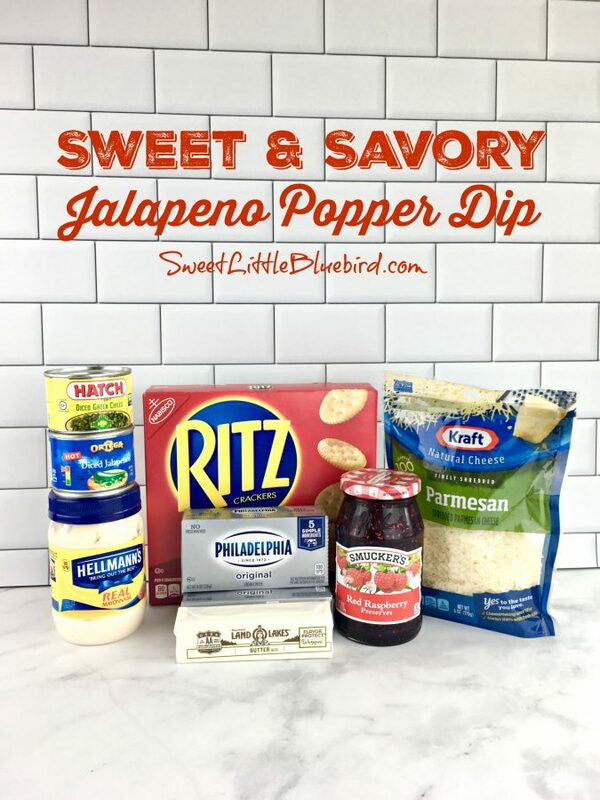 SWEET & SAVORY JALAPENO POPPER DIP – A super creamy dip with all the flavors and textures of jalapeno poppers and raspberry dipping sauce in an awesome all-in-one dip. This addictive appetizer has the perfect combination of flavors and texture (heat, sweetness and crunch) that will “wow” jalapeno popper fans! 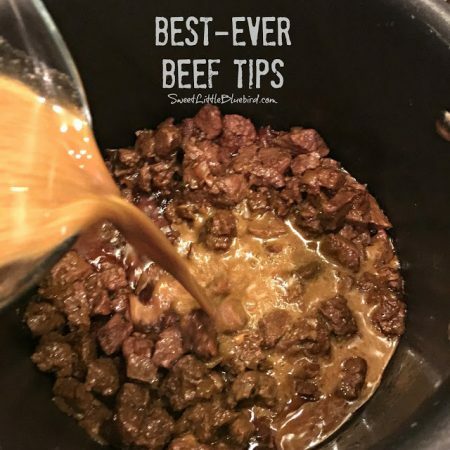 It’s so darn good and a cinch to make. 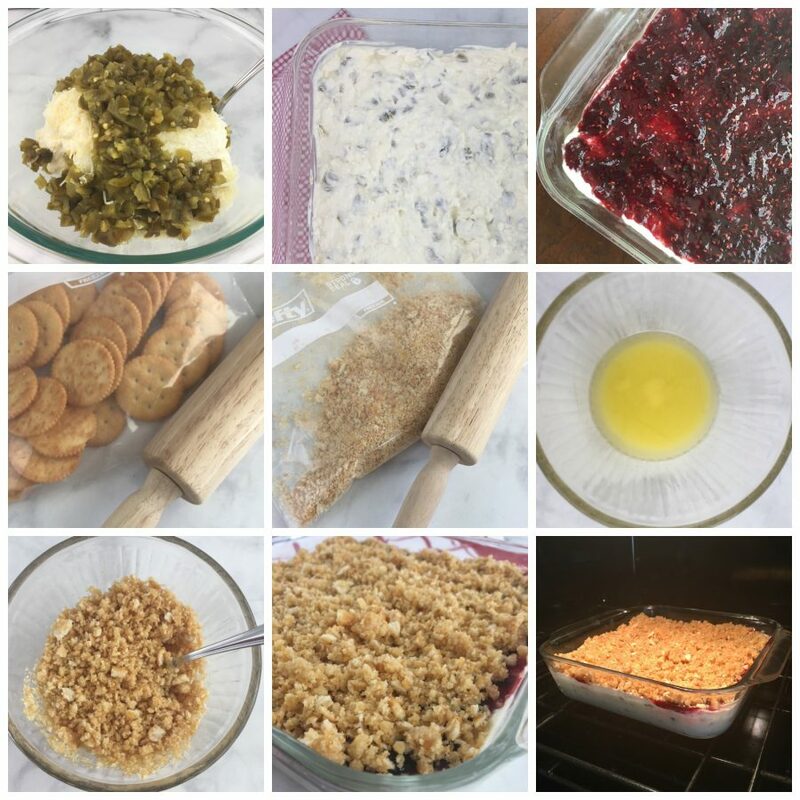 2 (8 ounces each) blocks of cream cheese, 1 cup mayonnaise, 4 ounce can diced jalapenos, 4 ounce can diced green chiles, 1/2 cup shredded Parmesan cheese, 3/4 cup raspberry preserves, 1 sleeve of crushed Ritz Crackers and 1/4 cup melted butter. 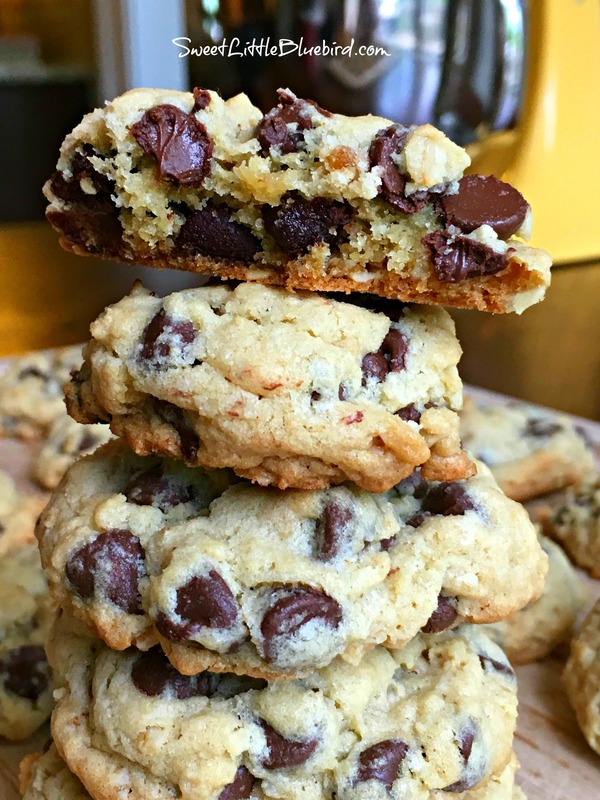 Serve with your favorite tortilla chips, crackers or pita chips. Preheat oven to 350 degrees f. In a medium size bowl, add cream cheese, mayonnaise, jalapenos, green chiles and Parmesan cheese – mix well. 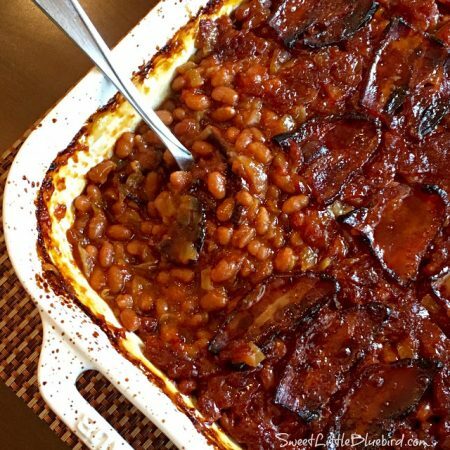 Pour dip into a 8×8 baking dish. Next, spoon raspberry preserves on top and evenly spread. In a small bowl, melt butter and add crackers – stir well, coating crackers evenly in butter. Spoon cracker topping evenly over dip. Place on middle rack of oven and bake for 25-30 minutes, until dip is heated through and the cracker topping is golden brown. 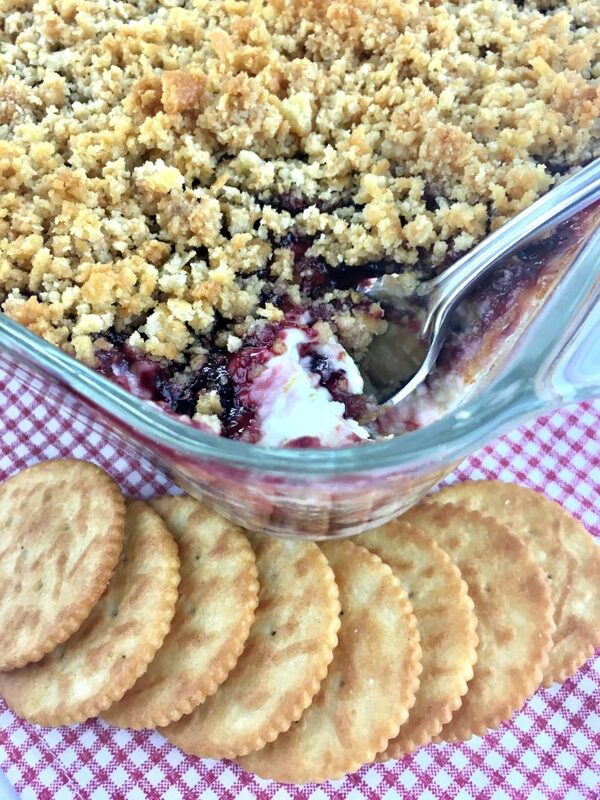 If you are not a fan of raspberries, simply skip the raspberry preserves and top the dip with the cracker topping, for an awesome jalapeno popper dip. 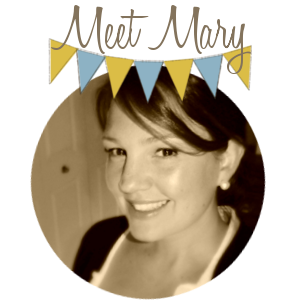 Looking for an easy dipping sauce for Jalapeno Poppers? Try my ridiculously easy Raspberry Jalapeno Popper Dipping Sauce. What’s nice about this dip, the raspberry preserves cools the palate, it’s the perfect combination and balance of heat and sweetness. If you’re a fan of pepper jelly and cream cheese spreads – you will love this dip! In a medium size bowl, add cream cheese, mayonnaise, jalapenos, green chiles and Parmesan cheese – mix well. 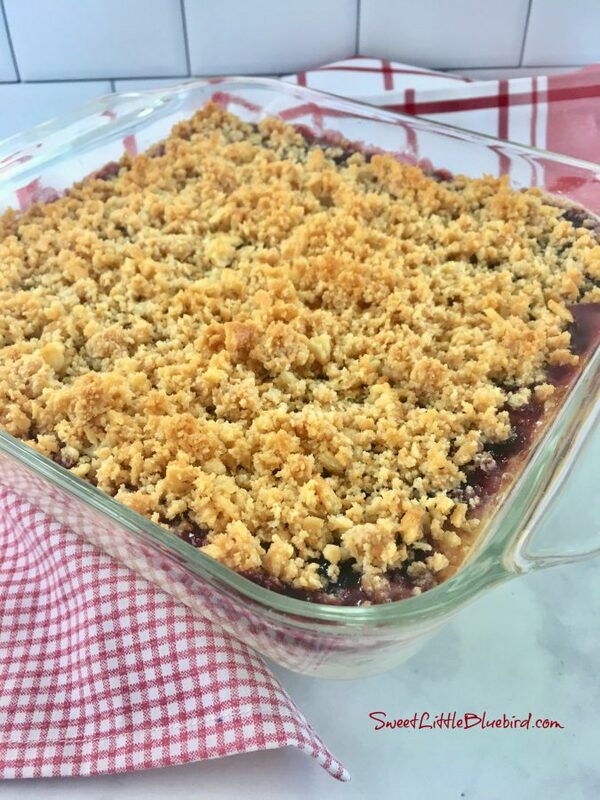 Pour dip into a 8×8 baking dish. Next, spoon raspberry preserves on top of dip and evenly spread. In a small bowl, melt butter and add crackers – stir well, coating crackers evenly in butter. Spoon cracker topping evenly over dip. Place on middle rack of oven and bake for 25-30 minutes, until dip is heated through and the cracker topping is golden brown. Serve with your favorite tortilla chips, crackers or pita chips. Enjoy! 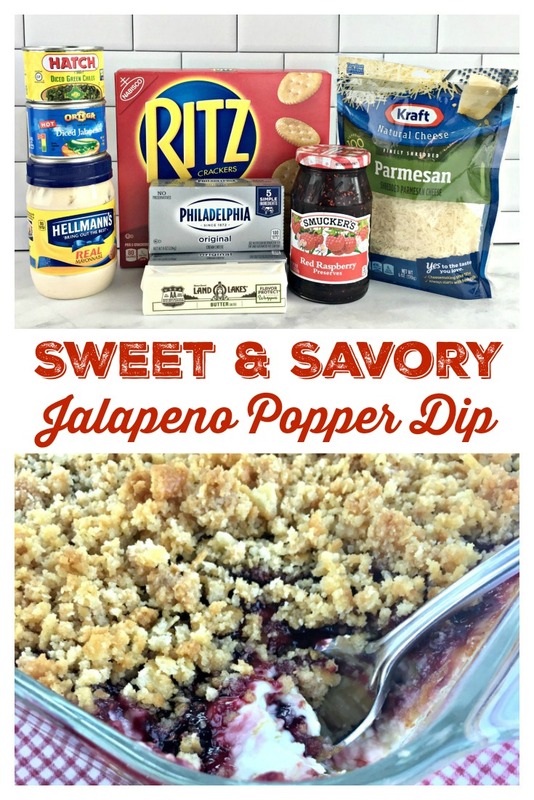 *If you are not a fan of raspberries, simply skip the raspberry preserves and top the dip with the cracker topping, for an awesome jalapeno popper dip. I love this dip with tortilla chips, but it’s also great with Ritz Crackers and pita chips. Sharing my dip recipe at Weekend Potluck.